IRVING, TX--(Marketwire - Nov 1, 2012) - Kyle Pyron, formerly Novation vice president of corporate communications, marketing, sales linkage and strategy, has been named senior vice president for marketing and communications at VHA Inc., the national health care network. Pyron brings more than 14 years of experience working with VHA, UHC and Children's Hospital Association members. Pyron joined Novation in 1998, in the strategic planning area. He has subsequently been responsible for planning, product management, and marketing and communications; playing a crucial and visible role in elevating Novation's marketing, public relations and sales linkage efforts to position the organization as an industry leader. Before joining Novation, Pyron was a communications specialist for Impel Management, a Fort Worth-based company focused on consulting, training and management services for physician practices. 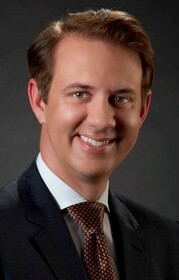 Pyron earned his bachelor's degree in English from Baylor University in Waco, Tex., and his master's degree in business administration from Texas Christian University in Fort Worth, Tex. "Kyle is an effective leader who brings tremendous perspective on the issues that confront our membership as well as the opportunities our family of companies is poised to bring forward to support them," said Scott Downing, VHA executive vice president, and chief sales and marketing officer. "In addition, he is adept at focusing on business priorities and aligning teams in support of common objectives. Kyle has been a great partner and I am excited to have him leading this team." VHA Inc., based in Irving, Texas, is a national network of not-for-profit health care organizations that work together to drive maximum savings in the supply chain arena, set new levels of clinical performance, and identify and implement best practices to improve operational efficiency and clinical outcomes. Since 1977, VHA has leveraged its expertise in analytics, contracting, consulting and networks to help members achieve their operational, clinical and financial objectives. In 2011, VHA delivered record savings and value of $1.9 billion to members. VHA serves more than 1,350 hospitals and more than 72,000 non-acute care providers nationwide, coordinating delivery of its programs and services through its 14 regional offices. VHA has been ranked as one of the best places to work in health care by Modern Healthcare since the publication introduced this list in 2008. About this company VHA Inc.
Kyle Pyron, senior vice president, marketing and communications, VHA Inc.